For all its wondrous landscapes (think undulating mountain ranges, dense rainforests and shimmering lakes), travellers are advised to steer clear of Burundi right now – the scenery might be beautiful, but the political situation is decidedly ugly. Further beyond the city limits, the four beautiful waterfalls at Chutes de la Karera are well worth a visit, as are a few of the largely unexplored and underdeveloped national parks. Parc National de la Rusiza is the most accessible, just 15km (9 miles) from Bujumbura, while Parc National de la Kibira is the largest rainforest in Burundi and is home to rare colobus monkeys and chimpanzees. An advantage of Burundi’s small size is that if you have your own vehicle or hire a driver, it’s generally easy to visit any of these highlights and return to Bujumbura within the same day; public transport, however, is limited outside the city. Burundi has made tentative progress towards peace and stability since a power-sharing government was set up in 2001 and most rebel groups agreed to disarm, but in 2015 President Nkurunziza’s bid to change the constitution and stand for a third term sparked mass protests and a violent response from the state. Hundreds of thousands of Burundians have fled into neighbouring Tanzania, fearing the collapse of the country’s fragile democracy and a return to civil war. Watch this space. 27,816 sq km (10,740 sq miles). President Pierre Nkurunziza since 2005. The FCO advise against all but essential travel to the rest of Burundi. The FCO’s advice against all but essential travel to Bujumbura does not include airside transit through Bujumbura International Airport. If you don’t have an essential reason to stay in Burundi, you should consider leaving. Burundi has experienced political instability since President Nkrunziza was inaugurated for a controversial third term in August 2015. There have been violent incidents reported across the country, including a number of targeted political and military assassinations. You should limit your movements, avoid large gatherings and remain vigilant at all times. In Bujumbura you should avoid areas which have experienced violence. In particular. Kanyosha, Musaga, Mutakura, Kamenge, Cibitoke, Bwiza, Ngagara, Nyakabiga, Gatumba and Bujumbura-rural. On 28 September 2018, the Burundian government announced it was suspending the work of NGOs in the country. If you’re visiting or working for an NGO, you should keep a low profile and be aware that there’s a risk that IT-plated vehicles may be stopped by the security forces. Avoid travelling by road outside Bujumbura after dark. This is due to the security situation and road safety concerns. 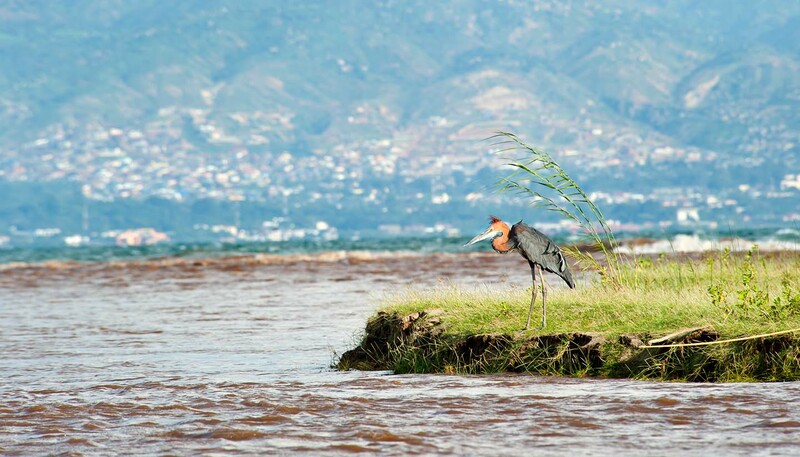 If you travel outside Bujumbura, you should get up-to-date local advice before setting off. There are limited facilities up country with little French spoken, and limited infrastructure. Make sure you’re as well prepared and self-sufficient as possible. Consular support is not available from the British government in Burundi. However, the British High Commission in Kigali, Rwanda can provide consular support to British nationals. The Belgian Embassy in Burundi is also able to provide consular assistance to British nationals. All visitors or long term residents should register with the Belgian Embassy. There’s a high risk of street crime. There have been incidents of armed burglary, sometimes targeting foreign exchange offices and banks. Terrorist attacks in Burundi can’t be ruled out. Al Shabaab has made public threats against Burundi because of its support to the African Union peacekeeping mission in Somalia. Since 2015, there have been sporadic grenade and arson attacks on local government infrastructure. The most recent was on Gatumba border post, on the border with the Democratic Republic of the Congo, which suffered an arson attack. There were a number of deadly grenade attacks in Bujumbura’s Buyenzi and Bwiza districts targeting bars in July 2017. None of these attacks target foreigners. You should remain vigilant and avoid crowded areas (eg markets). UK health authorities have classified Burundi as having a risk of Zika virus transmission. For information and advice about the risks associated with Zika virus, visit the National Travel Health Network and Centre website. A long running cholera epidemic in Burundi (including Bujumbura) has caused several fatalities since 2013. You should take necessary precautions and seek urgent medical attention if you become unwell. There’s a substantial risk of crime. Muggings at gun and knife point, bag snatching, pick-pocketing, burglary, car break-ins, and armed car hijackings have all been reported. Avoid walking in the streets or using public transport after dark, even in Bujumbura city centre, and don’t carry large amounts of money. Take care when withdrawing or exchanging cash, and avoid doing so at night. Arrange guards for homes and stay at hotels that have good security. Safeguard valuables and cash. Use hotel safes, where possible. Keep copies of important documents, including your passport and visa, separately. Be wary of who you plan to meet and where, and inform colleagues or family members of your plans. The security situation across Burundi remains volatile, especially due to the current political crisis, which included an attempted coup in May 2015. There have been incursions, mainly from eastern DRC, and clashes between armed groups, including an armed attack on civilian vehicles. The threat of ambush by bandits remains high. You should make contact with your destination before you set off and make sure that you allow enough time to complete your journey during daylight hours. Land border crossings are currently open, but the situation is fluid and they may be closed without advance warning. In July 2016, Burundi banned public transport vehicles from crossing the border with Rwanda and introduced restrictions on Burundian food products being exported into Rwanda. You can drive in Burundi on a full UK driving licence for the first 6 months after you arrive. You’ll then need to get a Burundi driving licence. There are only a small number of tarmac roads and these are sometimes in poor condition. Driving standards are poor and there are frequent serious accidents. Keep car doors locked and windows closed when driving. Access in to and out of Bujumbura city is controlled by police at night. Road blocks and document checks are common, and not always official. Carry a copy of your passport and visa, but you may be required to produce the originals. Reports of attempted robberies at fake checkpoints have increased. Avoid travelling on collective and public transport (buses and motorbike taxis), due to poor vehicle maintenance and low driving standards. Road infrastructure is poor and roads are frequently blocked or damaged by landslides, especially after heavy rain. Landslides have destroyed road bridges, making some routes impassable. Check local advice on road conditions when planning travel by road and have a contingency plan in case your preferred route is blocked. A number of carriers fly in and out of Burundi including: Rwandair, Ethiopian Airlines, Kenyan Airways and Brussels Airlines. The EU has published a list of air carriers that are subject to an operating ban or restrictions within the EU. The political situation remains tense since an attempted coup in May 2015, disputed presidential elections in July 2015 and a referendum on constitutional change in May 2018.There have been violent attacks, particularly against those perceived to be against President Nkurunziza’s third term. Sporadic targeted assassinations continue, with an increase in arbitrary arrests, detentions and disappearances of Burundians, most often from civil society, independent media and pockets of society perceived to be anti-government since 2015. The police have used live ammunition and tear gas against demonstrators. Avoid all demonstrations and large gatherings. The government of Burundi reacted strongly to the United Nations Security Council Resolution 2303 in July 2016, which called for UN police to be deployed to the country. This included demonstrations outside the French Embassy. Terrorist attacks in Burundi can’t be ruled out. Attacks could be indiscriminate, including in places frequented by expatriates and foreign travellers. Al Shabaab, although based in Somalia, poses a threat across the East Africa region. Al Shabaab has made public threats against Burundi because of its support to the African Union peacekeeping mission in Somalia. Al Shabaab have claimed responsibility for attacks in Kenya (September 2013) and Uganda (July 2010). The group linked the attack to Uganda’s presence in Somalia as part of the African Union peacekeeping mission. Follow the advice of local authorities and exercise caution while travelling around the country. There are severe penalties for drug offences. Homosexual acts were criminalised in 2009. Punishment includes a prison sentence of between three months and two years, and a fine, although there have been no prosecutions to date. Lesbian, gay, bisexual, and transgender (LGBT) people are not accepted at all in local culture. See our information and advice page for the LGBT community before you travel. Visitors to Burundi must get a visa before travel, via any Burundian diplomatic mission. For further information on visas, contact the Burundi Embassy in London or the Burundian Embassy in Kigali (telephone: +250 575512, fax: +250 576418) if you are travelling from Rwanda. Carry a photocopy of your passport and visa at all times. Since October 2012, around 1000 cases of cholera, including several fatalities, have been reported in Burundi. In 2016, cholera cases were reported in Bujumbura and Bujumbura Rurale. You should take necessary precautions and seek urgent medical attention if you become unwell. Malaria is endemic, with 2016 seeing an increase in cases compared to 2015,and the announcement by the government of a formal epidemic. Avoid swimming in Lake Tanganyika due to the risk of being attacked by wildlife and waterborne diseases. The UNAIDS 2013 Report on the Global AIDS Epidemic estimated that around 72,000 adults aged 15 or over in Burundi were living with HIV; the prevalence percentage was estimated at around 1.3% of the adult population compared to the prevalence percentage in adults in the UK of around 0.25%. You should exercise normal precautions to avoid exposure to HIV/AIDS. Previous earthquakes in the region have been felt in Burundi, but there have been no fatalities or damage to infrastructure. The rainy season runs from February until May and can result in flash floods. Take US dollars dated post-2006. Most outlets and individuals will not accept or exchange older currency. Euros may also be exchanged. There’s a shortage of foreign exchange currencies in Burundi. Credit and debit cards are accepted in some places, (including Bon prix shops / Rocagolf and Club du Lac hotels) but rarely outside Bujumbura. ATMs are available, mainly in Bujumbura.